Nowadays, technology gives perpetrators never-ending ways to control, follow and detach women using the tools of everyday life. Repeatedly, both victims and survivors’ online activities are monitored, controlled, and harassed through technology. Internet use, social media profiles and linked online accounts (bank statements) are the most common ways that perpetrators track down their victims -including men controlling women’s social media conversations, monitoring their locations-. And for those who tried to leave, tracking them through technology and even finding their children. In some cases, they even placed devices in cars. Moreover, cameras were placed around the house. That was a way for abusers to gain access to women’s personal and home devices, their online accounts and children’s toys and devices. 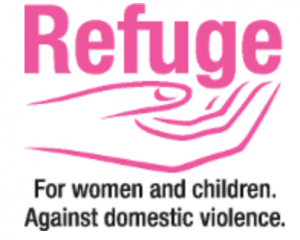 Refuge, is a UK based charity that provides specialist support for women and children that experience domestic violence and tech abuse. Therefore, we did a research and explored the services they offer to the victims and the methodology they use to present it in this article. “Tech vs Abuse” is a collaborative research project that was accomplished over six months and undertaken by several charities SafeLives, Snook and Chayn and commissioned by Comic Relief, and set out to explore the potential opportunities, gaps and risks presented by technology in the context of domestic violence and abuse. It explored cases from over 200 survivors of domestic abuse (over 18 years old) and also from 350 practitioners who support them. In the online survey of women who had experienced abuse, only 1 in 5 said their online activity was not monitored by their partner. Almost half (47%) said that they were monitored, and a quarter said they did not know. A rise in the number of women whose children’s IPads, Xboxes and PlayStations have been hacked by the perpetrator to gain full access to their accounts, to trace information such as the child’s location, who they are speaking to and what games they are playing. Overall, there was a sense that the perpetrator was always one step ahead. This resulted in a lasting fear of using technology, both by survivors and practitioners. They viewed technology as potentially dangerous, both during abusive relationships and during recovery. Women choose to or were often advised to remove all technology from their lives. This left them even more socially isolated and with less control over their lives. Many reported that the language and terminology used by services online to describe domestic abuse and the support they offer was a barrier for preventing them from recognising what is happening to them. However, it should be vital that all online sources of support and advice are better designed with the language, questions, behaviours and motivations of those who seek to use them. 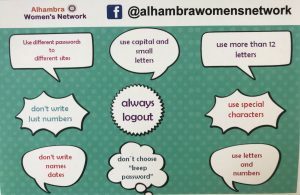 Use different passwords to different sites. Use capital and small letters. Don’t write names and dates. Use more than 12 letters. How do you think technology can be improved to help survivors? Culturally specific services: Refuge recognises that all survivors have different needs, some of which may relate to their ethnic background or identity.